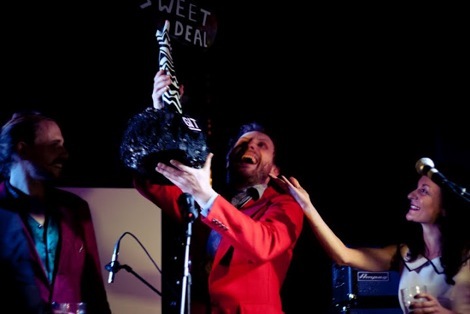 Loved Ones talk exclusively to Getintothis after they scoop the inaugural GIT Award 2012. 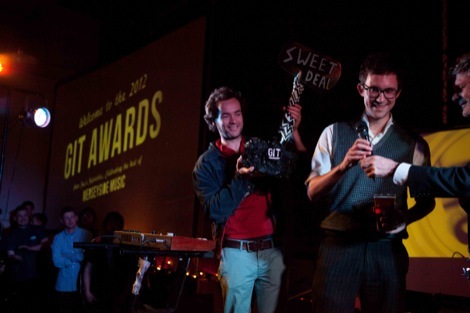 Getintothis: What did you make of the GIT Award 2012 – you must be delighted with taking the first prize? Nik Glover: ‘We are over the moon. ‘We’re still at a very early stage with our progression, live and on recording, so being recognised for what we’ve done so far is a really nice spur to that. 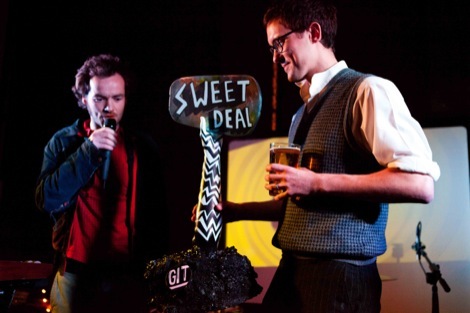 Getintothis: What message did you think the GIT Award sent out? Nik Glover: ‘I don’t know about a message – on the day everybody had a great time, everyone was very supportive of each other. 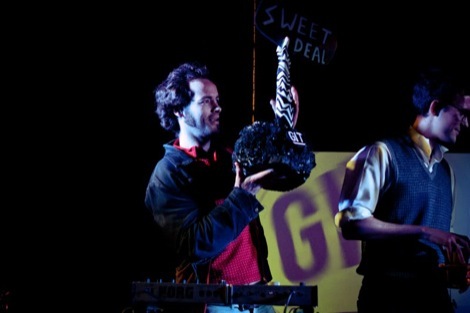 Getintothis: What were your highlights from the GIT Award 2012? 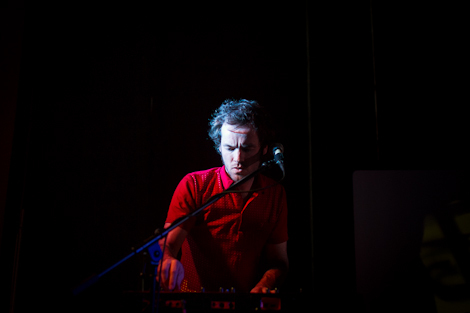 Nik Glover: ‘Esco Williams was fantastic, a real showman and someone who I think will do extremely well if he keeps playing shows like that, with so much energy and pure joy for the music that he’s making. 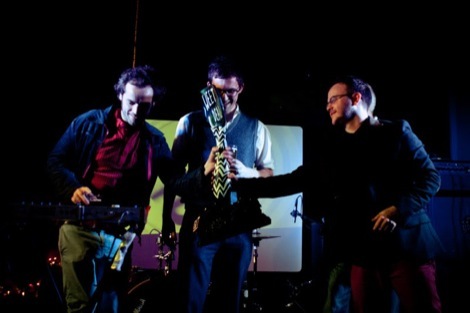 Getintothis: Thank you so much for your music and good luck for the future – what’s next for you? 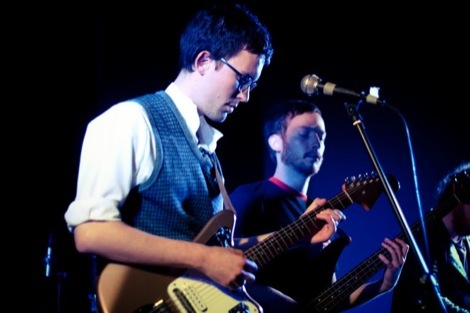 Nik Glover: ‘We’re going to have a look at the album we’ve done and change some stuff. ‘We’ve been living with it for a while now and there’s new material I want to put in there to change the flow a bit. 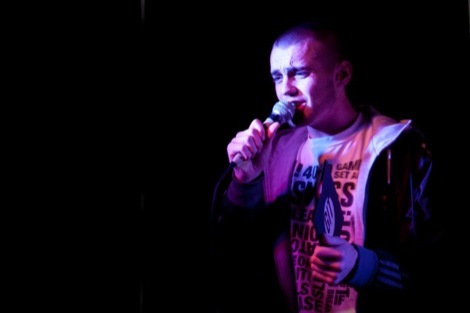 Pictures by Marie Hazelwood, Conor McDonnell and Matt Thomas.